TheatreStorm is proud to announce that poet Steven Gray will be writing a guest review for TheatreStorm, to be published the week of October 1st. 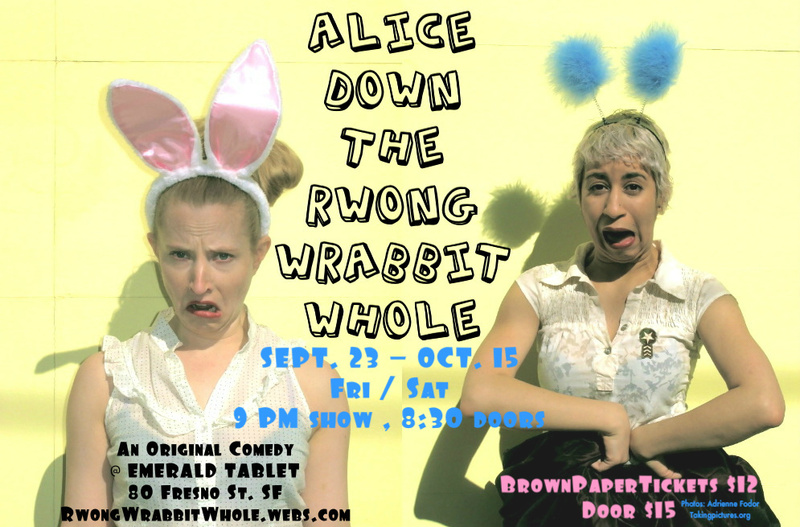 Steven will be reviewing “Alice Down The Wrong Wrabbit Hole”, which will be playing at The Emerald Tablet in North Beach. You can read about the production here. The Emerald Tablet is a fairly new venue in town and definitely deserves our support. Would YOU, dear reader, be interested in writing a review for TheatreStorm? I hope so. If you are, click here.